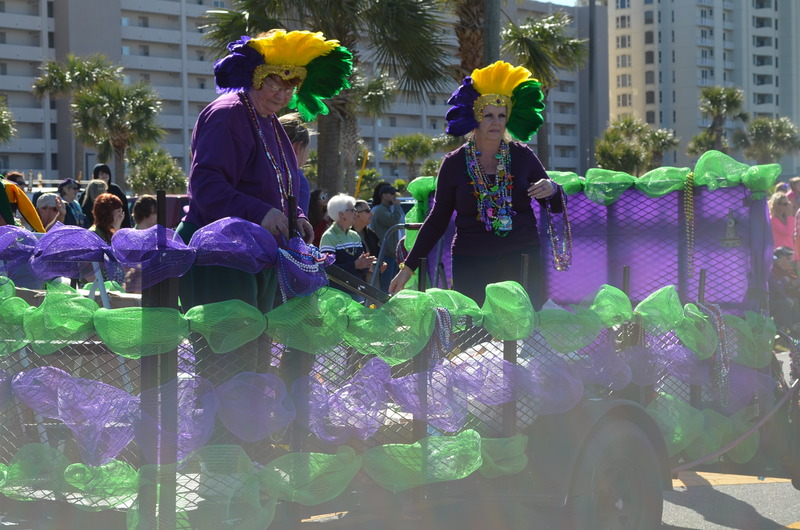 Last year we went to Mobile and experienced some pretty serious Mardi Gras-ness. 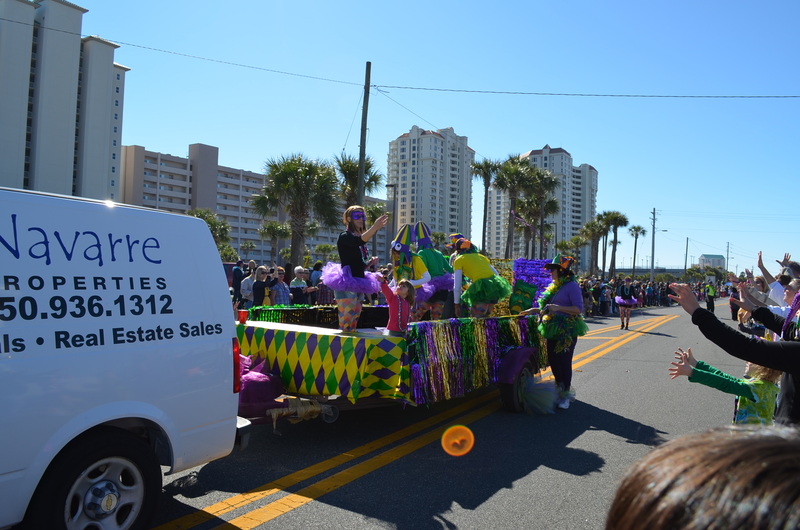 This year we kept it local, so here’s some pictures from the Navarre Beach Mardi Gras parade, sponsored by the Navarre Krewe of Jesters. 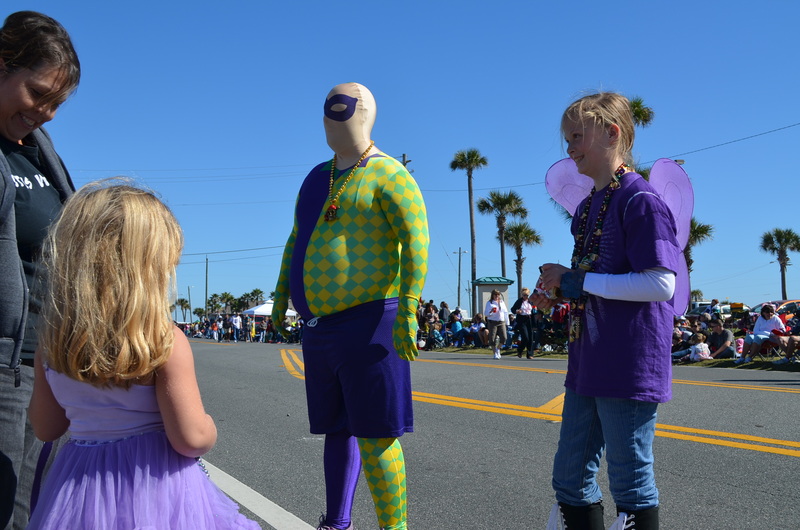 You had to get to the route quite early, since they close the bridge from the mainland to Navarre Beach 30 minutes before the parade started. We got a great viewing spot towards the end of the parade route. I thought it was the beginning of the route, oops. 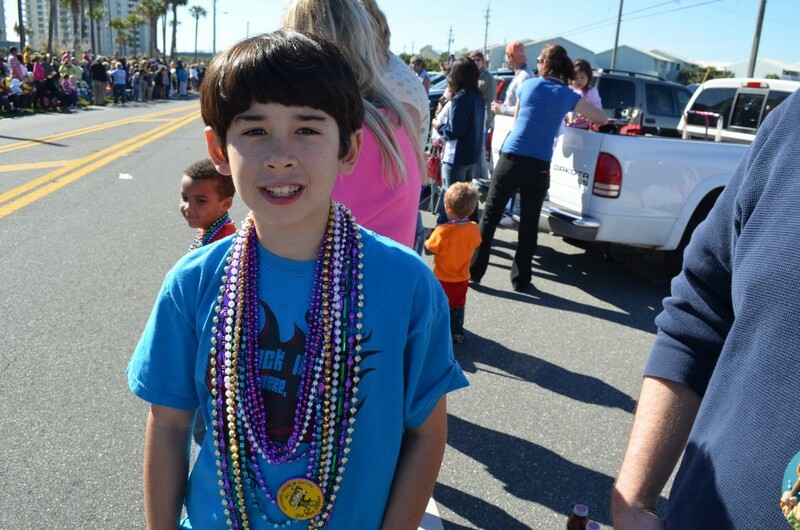 Which mean the beads were being rationed by this point. That’s okay, nothing will beat how much we got last year. Also, we didn’t realize how many people brought their pets to the parade! There’s so little around here that welcomes pets, we didn’t even think to ask. Our waiting spot for the parade. We arrived 90 minutes early, we had great viewing. We brought plenty of drinks and snacks. 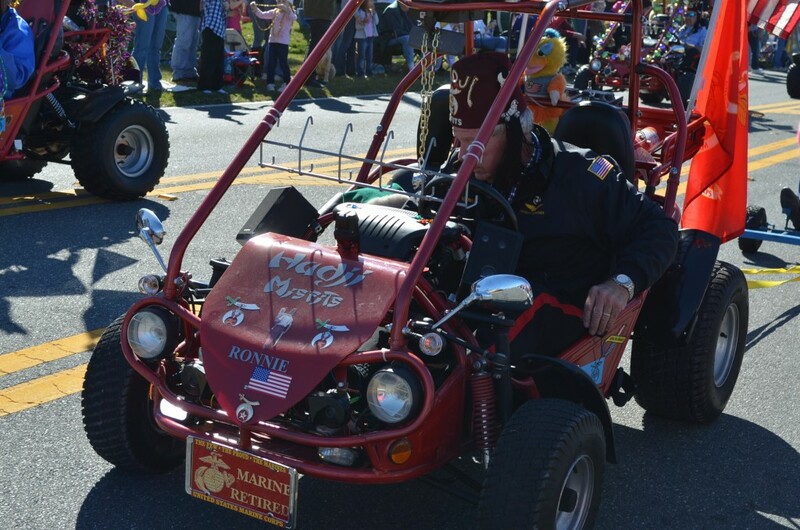 This is a very brave gentleman. Very friendly too. 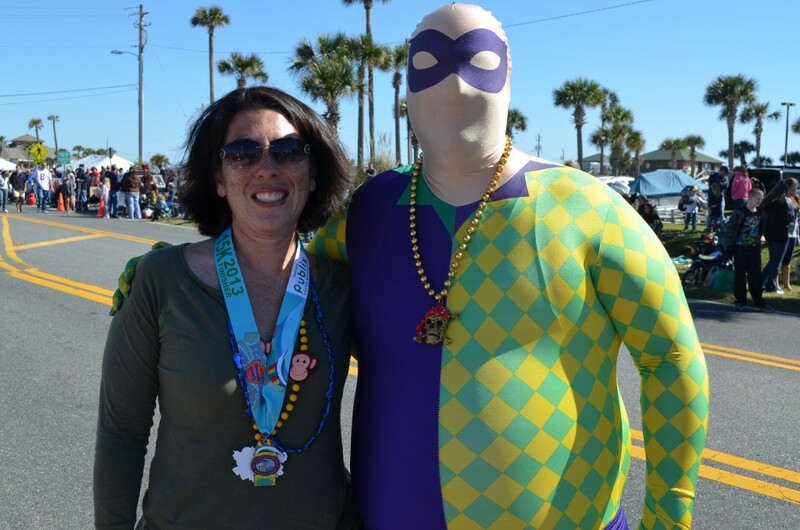 He was happy to take pictures with everyone. 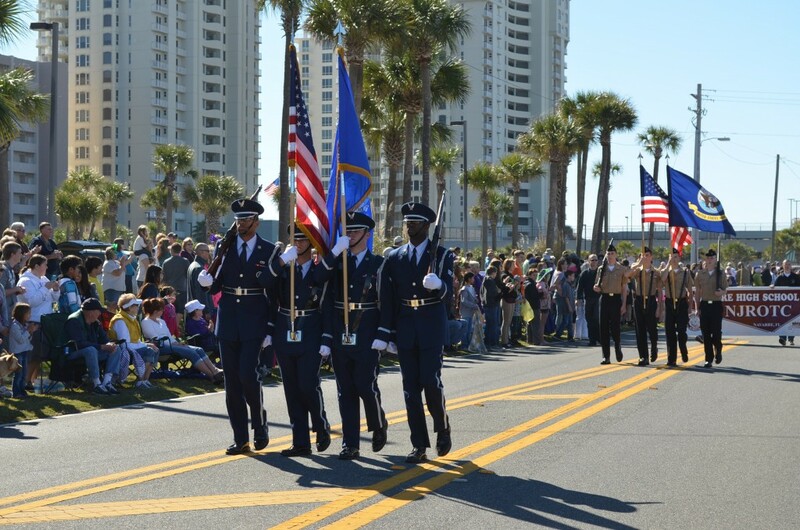 The start of the parade – the Hurburt Field honor guard, followed by the Navarre High School NJROTC honor guard. 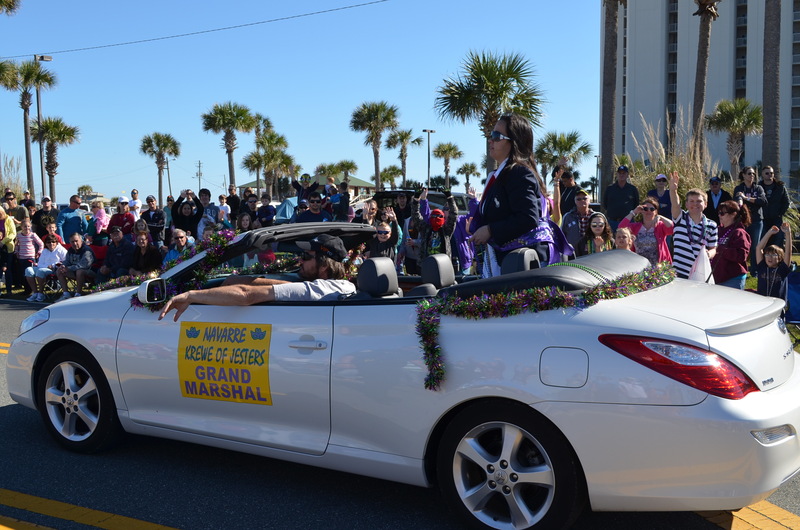 The grand marshall was on the Olympic team, but that’s all I know about her. 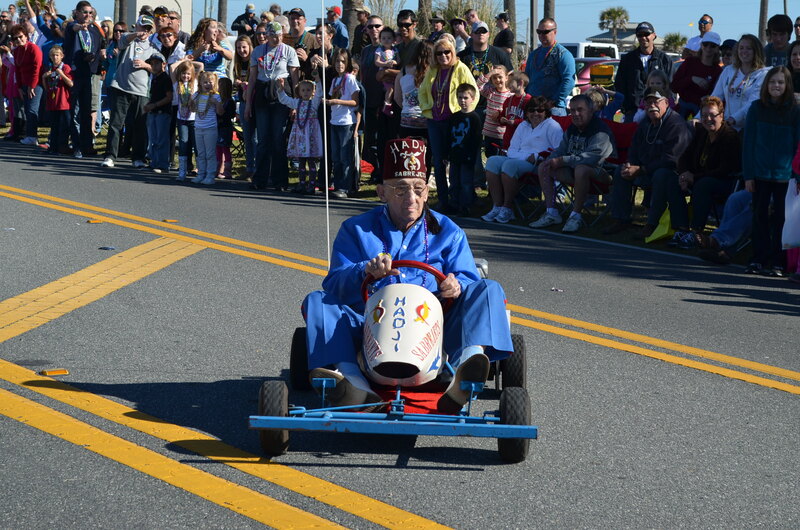 A typical float. 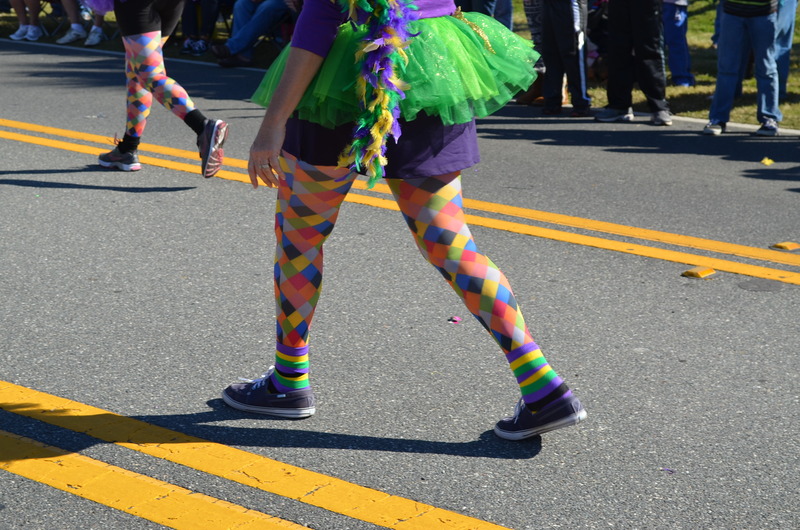 Some of them were pretty tall, but not as elaborate as what you would see in New Orleans. The sun was right in our faces. So many of my pictures look like this. Sorry. 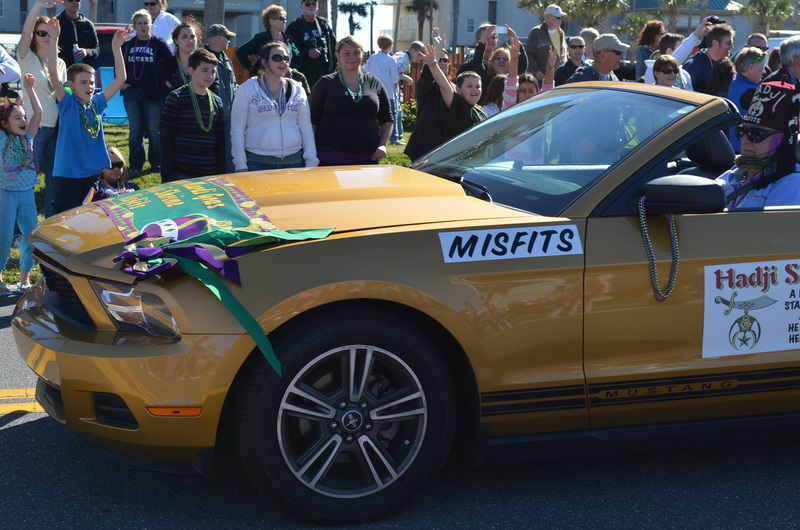 Lots of Mustangs in the parade, of all ages! 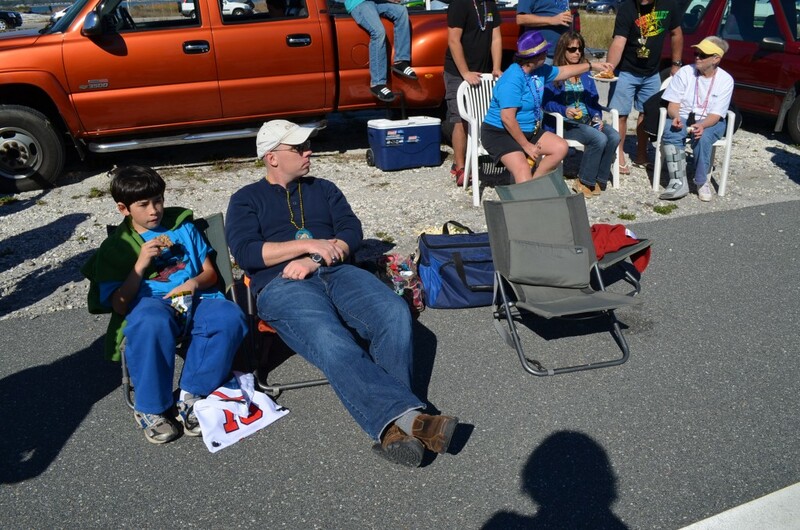 Timmy was watching with a friend across the street, but Jacob was enjoying himself. 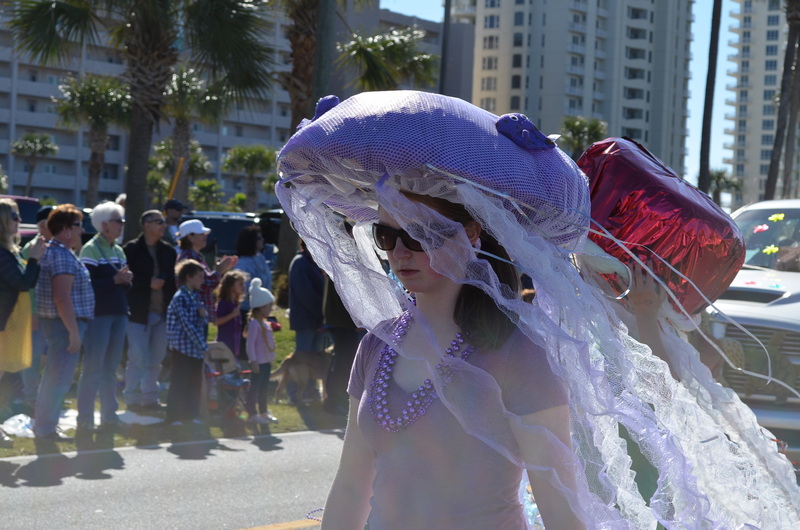 The Navarre Beach Marine Science Station marched with these elaborate jellyfish hats. 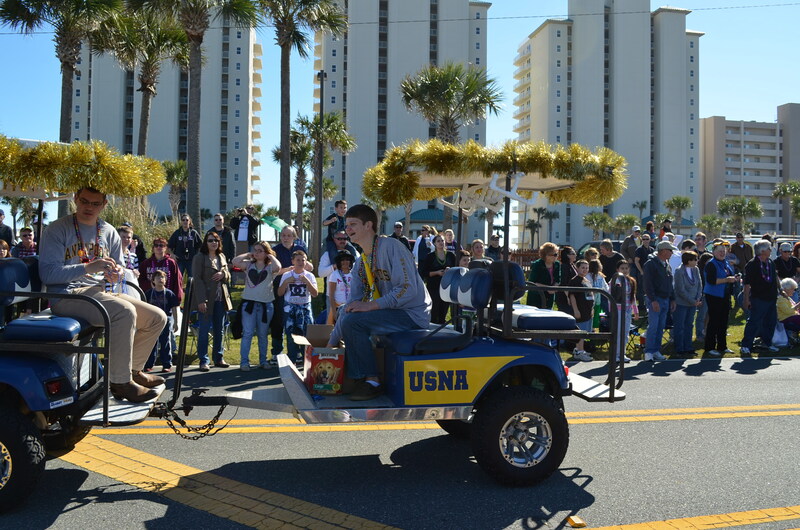 There’s a golf cart decorating contest. That kid is tossing out doggie treats! 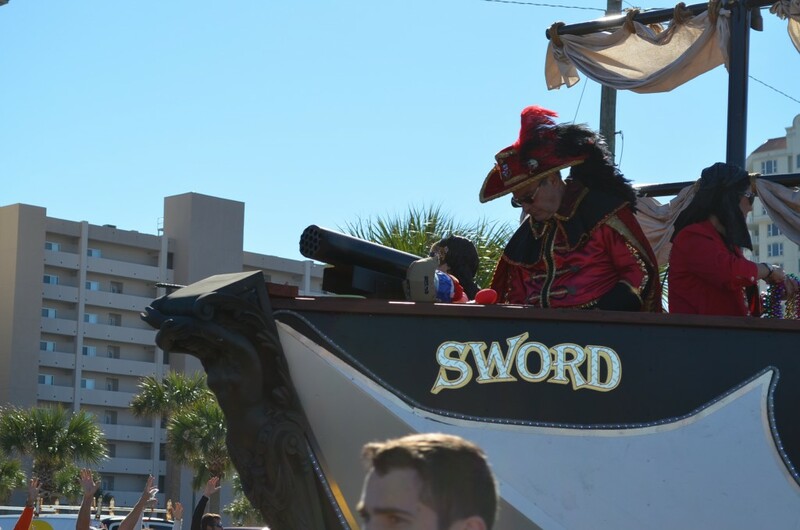 One of the more elaborate floats…sorry I only have the front of it here.